"A340-600 better than Boeing 777-300"
Etihad Airways A340-600 had the better seat over the Boeing 777-300 aircraft. On both of these aircraft you seem to get a big screen which dominated the back of the seat although on the Boeing it had charging facilities next to the screen also, I used the usb conection to charge my phone which was handy. Its hard to judge how comfortable the seats was as after 4-5 hours of sitting anything become uncomfortable although I've sat on worse aircraft seats. Although I had a window seat on the A340 rather than an aisle seat, I got more legroom. Not only because of the way the seat meets the wall of the aircraft giving me room to put my shoes, blanket and pillow they provide out the way, there is more legroom on A340 aircraft. I'm 5/9. 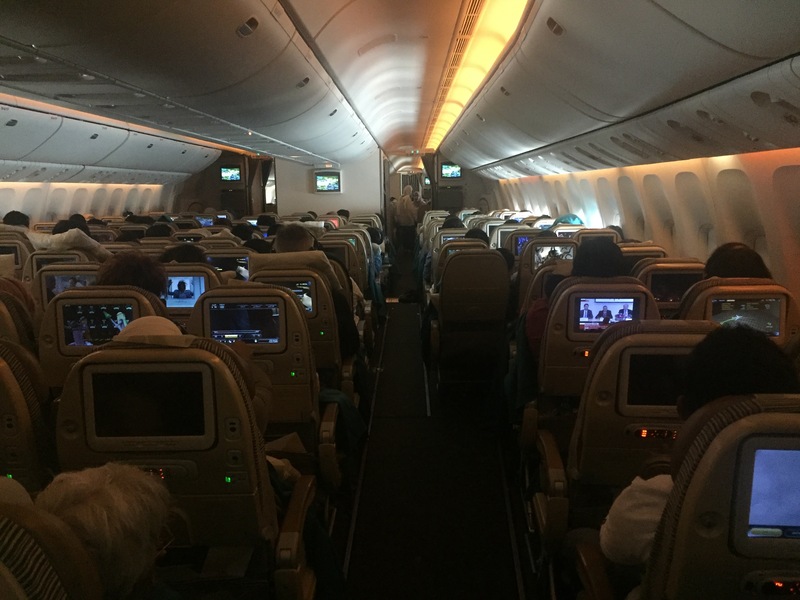 "main problem is the seats"
The Etihad Airways flight from Australia to Abu Dhabi is long, no escaping that, however, my experience with Etihad only made the trip, both ways, more unpleasant. Staff are efficient but not helpful. Communications, initially in arabic and the other languages is hard to understand when it comes to the English version. The main problem is the seats. They are much too hard for this length of flight. Never again. "seat was not at all comfortable"
Considering this was an Etihad Airways A380 I felt the seat was not at all comfortable, it is certainly worse than other aircraft in the fleet. I am quite short (5'7") but still the seat squab barely came to half way along my thigh, annoying on a lengthy flight. I have flown other A380's and don't recall it being as bad. "the worst I have sat in"
I was excited about flying on the 787, despite the bad reviews I'd read about the economy seats on this aircraft. I have to say that the economy seats on the Etihad 787-9 are without exception, the worst I have sat in. I am about 181cm tall, so fairly average in height and my knees were pretty much touching the seat in front of me. I'm not a big guy and I felt so squashed due to the width of the seat that it was very difficult to get comfortable. If the seat in front was reclined, the video screen was right in front of your face. Adding to this was the fact that the seat was harder than most I've sat in. I do a lot of flying so I have a good basis for comparison on these details. I'm also a very realistic about what to expect with economy flying. 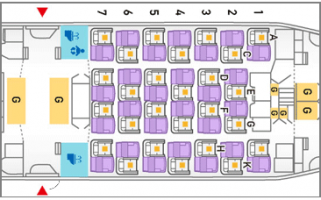 I'd take a Jetstar seat in Australia over the Etihad Boeing 787-9 seats any day of the week. 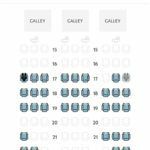 I'm flying British Airways in December back to Australia on their Boeing 787 and the reviews I've read about their seats is very poor. Worst part is, the Etihad flight was only 6 hours, where as the BA flight is going to be over 12 hours. 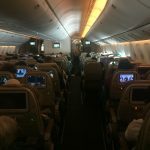 The Etihad Airways journey from London to Bangkok via Abu Dhabi was poorly served and very uncomfortable due to hard seats and lack of space. The transfer took up all of the 2+ hours we had available and caused concern as we had but 1 hr only on the return. Abu Dhabi airport is a shambles. As a frequent flyer to NZ and Aus I have passed through most International airports but have never experienced anything as depressingly chaotic as this place. How they got their rating is a mystery and one that should be questioned. On the return trip (made the transfer, miraculously, within the hour) it was equally cramped, however the crew appeared to have been assembled at the last minute as they were totally uncoordinated and the service was dreadful. Also the film I was watching on the first leg did not appear on the second screen as it had not been updated. Best I can say is that they got us there and back but I would never entertain considering this airline again and have a future benchmark for sheer unpleasantness of travel. Thanks but no thanks. "width is about 17 inches"
Seat 25K near emergency exit. Excellent legroom able to stretch your legs out. Seat width is about 17 inches. Airline can improve on providing regular snacks and drinks on a 8 hour flight. Only 1 meal and then snack towards end of journey was provided. Change of baggage allowance without any notification to the customer. My wife was travelling back home for delivery and when we checked online before boarding, the baggage allowance was clearly stated as 23 + 23, and no change mentioned, however at the checkin they allowed only 30. They mentioned that the customers who booked tickets before certain date was having allowance only 30 and after the date it was 46. We had went through the whole Etihad Airways site and since it was clearly stated as 23 + 23 we planned baggages as per that. Despite my wife being pregnant and requested exception at checkin, none was provided except an extra check on my wife being pregnant, We had to pull out all the maternity documents to show it was single pregnancy despite the fitness to fly certificate provided by GP. Despite the airlines changing the baggage allowances, without notifying the customer on their official site, there was no consideration and on top of it we had a delayed flight too. The lady at our first check in counter was very rude, however when we sorted the baggage and checked in later we had a better staff to serve us. Never had such experience before. Pathetic inflight service with less crew members for the flight from London to Abu Dhabi. I had planned everything possible to make her journey comfortable however the airlines made it tough for us, I had multiple other options to fly with, but landed up with a bad choice. "there is plenty of leg room"
We flew from Edinburgh to Bangkok via Abu Dhabi. There is plenty of leg room. Food was good, staff and service excellent. I phoned Etihad to see if we could arrange seats together and it was done with no problem. Reading some reviews can really put you of your holiday before you set off. 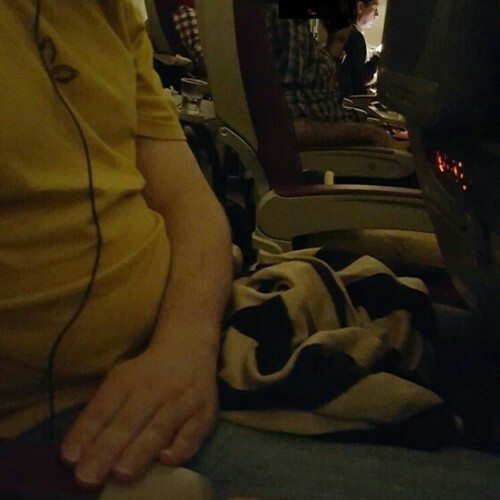 "seats rock hard and uncomfortable"
My recent flight Boeing 777-200LR from Abu Dhabi to San Francisco using Etihad Airways (operated by Jet Airways) was one of, if not the, worst flights of my life. The bathroom was dirty, and the sink/faucet was broken. The seats were so small that I could barely fit, and I'm not really a big guy either. They were also rock hard and extremely uncomfortable. The airplane itself was extremely run down, old, and beaten up. I actually felt like I was flying in the past. I will never purposely fly a Jet Airways operated plane again. Etihad Airways 14.5 hour flight from Brisbane to Abu Dhabi. For the first 10 hours the air conditioner didn't work. Eventually I asked one of the flight attendants why the aircraft was so hot, I was informed that it could not be changed, and that it was not working properly. However for the last three hours of the 14 hour journey it suddenly became freezing. The seats were the most uncomfortably hard seats I have ever endured, limited leg room and when the person in front decided to put their chair back I couldn't even sit up straight and lean forward to relieve the discomfort of sitting in one position for such a long trip. The movies were mostly dated, not one new release. The food was average except for our last breakfast which was inedible. On the return flight the same old movies and dreadfully squashed up seats. I won't be travelling with Etihad Airways again on any long hauls.